As much as I love winter (though we really haven't gotten one in LA this year) I really look forward to spring every year! It's not super hot out but nice enough for jeans and a cute top, and random rain makes me really happy too :). 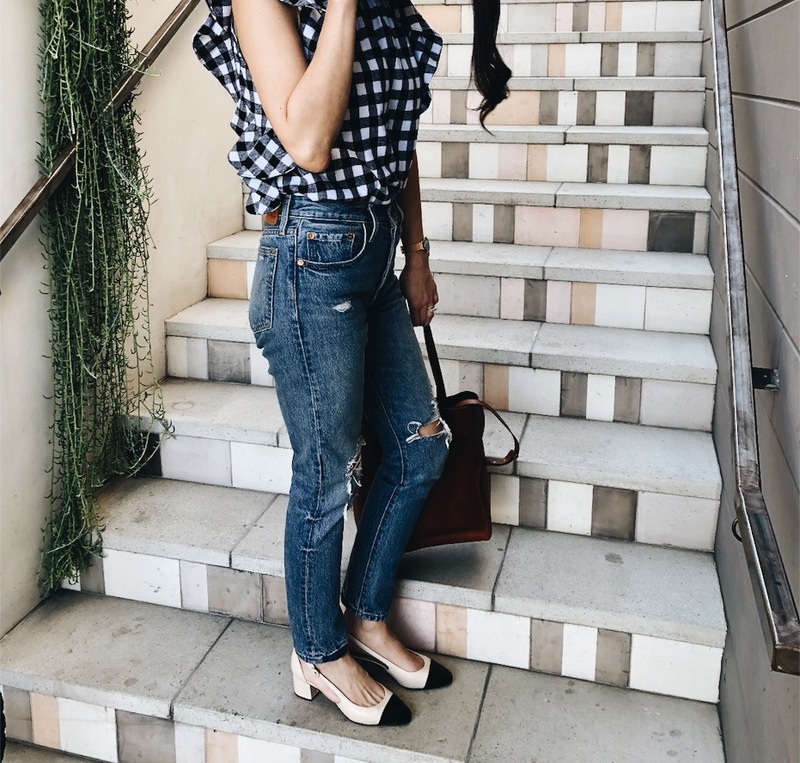 I recently received this top from Harlowe & Graham (available at Nordstrom Rack) and I am loving it for the transition into spring. It's so soft and I love black & white plaid! I paired it with a pair of the only jeans I have been wearing lately (I have them in multiple washes!) and some super adorable pumps (a dupe of this iconic Chanel shoe) which are by far some of the comfiest shoes i've ever worn.